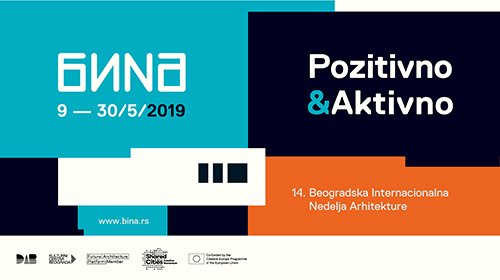 The most appreciated Forum of Architecture and Engineering in Central and Eastern Europe will take place for the first time in the Serbian Capital on April 24th at the Metropol Palace Sheraton Hotel and will bring together specialists from leading practices to discuss and gain inspiration from each other. 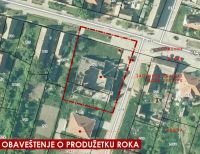 SHARE Belgrade 2018 International Architecture and Engineering FORUM is an event organized by PRO event Association and The Union of Architects of Serbia UAS and the Association of Architects in Montenegro SACG and chaired by the President of UAS, arch. Milan ĐURIĆ. Each year, SHARE Forum has been in pursuit of excellence in the fields of architecture and construction, improving the quality and the complexity of its dynamic events with every edition. This couldn’t have happened without having by our side some of the most relevant figures for the built environment – hundreds of practicing architects and contractors from Europe, Asia and the United States of America - turning SHARE Forum into one of the most important networking platforms for the construction-related fields in Central and Eastern Europe. This year we expanded in three more European locations, so that we are delighted to be now present in Warsaw and Krakow (Poland), Budapest (Hungary), Bucharest (Romania), Sofia (Bulgaria), Belgrade (Serbia), Athens (Greece) and Skopje (Macedonia). The registration can be done by visiting share-architects.com by April 20. 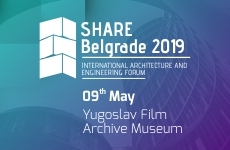 SHARE BELGRADE 2018 will focus on current issues of built space and its contemporary qualities, highlighting common concerns and conditions that professionals in the fields of construction in Central and Eastern Europe face in practice. It will be a one-day event featuring two series of presentations by an internationally renowned panel of speakers. We think diversity is a quality of our events, so SHARE Belgrade 2018 will feature architects and specialists coming from 13 countries as a result of our focus on allowing local professional communities to network and meet opportunities: Ian Ritchie (founder of Ian Ritchie Architects, UK), Maurizio MEOSSI (Senior Associate at ZAHA HADID ARCHITECTS), Colin BALL (the London Lighting Director of the Building Design Partnership, UK), Kerem YAZGAN (Managing Partner of Yazgan Design Architecture in Turkey), Rainer SCHMIDT (Founder of Rainer Schmidt Landschaftsarchitekten in Germany), Arch. Anouk LEGENDRE (Founder and Partner at X-TU Architectes in France), Dean LAH (Managing Partner at the Slovenian architecture office Enota), Angel ZAHARIEV (Founder of A&A Architects in Bulgaria), Habibeh MADJDABADI (Founder and Principal Architect at Habibeh Madjdabadi Architecture Office, Iran), Vlad GAIVORONSCHI (Founder of the Romanian architectural office Andreescu & Gaivoronschi), Martin PANOVSKI (The President of the Association of Architects in Macedonia), Sanja and Igor GROZDANIC (co-founders at Studio Non-Stop in Bosnia and Herzegovina), Sonja RADOVIC JELOVAC (principal architect at Studio Synthesis in Montenegro), Vesna CAGIC MILOSEVIC (the President of the Association of Architects in Belgrade), Predrag MILUTINOVIC (Founder of MAPA Architects, Serbia), Marja and Petar SIMOVIC (co-founders of Studio Simovic, Serbia), Jelena and Goran VOJVODIC (co-founders at BiroVIA, Serbia), Dijana and Vladimir ANDJELKOVIC (co-founders at a2arhitektura, Serbia), Miroljub STANKOVIC (partner at Kontra Studio, Serbia). ... We want to mention them all as members of our continuously evolving professional community: all of us are part of SHARE Forum and we hope that together we make a difference towards a better future of our built environment.